Dinner: We returned to the home of the best burgers in Austin - Casino El Camino (517 East 6th Street, Austin, TX‎ - (512) 469-9330‎) - to try another couple burgers. We ordered two different 3/4 pound burgers and split them. 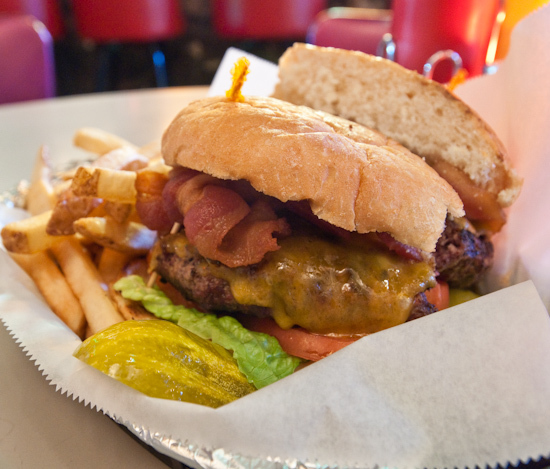 I had the Chicago which was simple: bacon, romaine lettuce, tomato, and cheddar cheese. The flavor of the burger was fairly mild overall, but the loosely packed burger patty was still really good and matched well with the thick chewy slices of bacon. An extra sprinkle of salt really helped out. 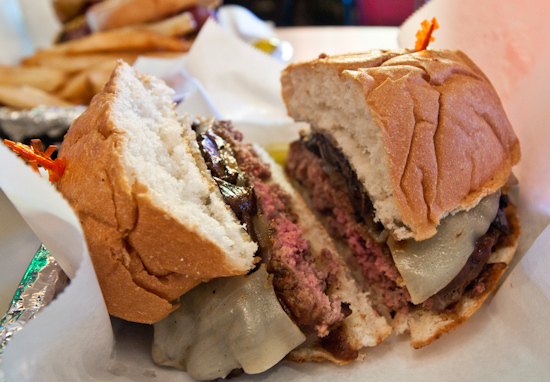 The Pitts Burger (sauteed mushrooms, provolone cheese, and A1 steak sauce) had a much stronger flavor and it was difficult going from the Pitts to the Chicago because of the strong A1 Steak sauce. 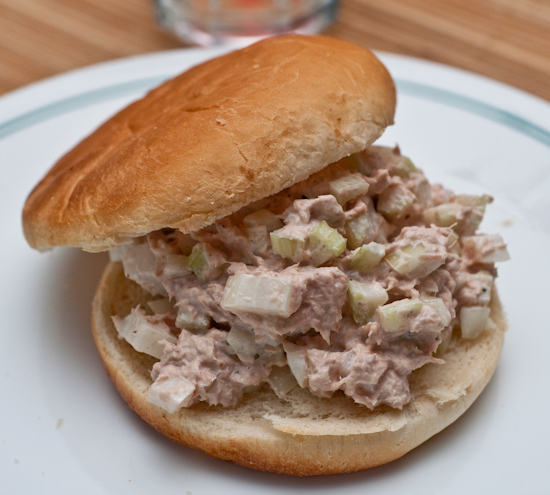 Lunch: Tina made tuna fish salad sandwiches. wow your shots are enviable. funnily, i ordered the same two burgers you did!